A Bloomberg study revealed that women with MBAs earned a median of $35,000 less than men eight years after graduating from business school. One particularly painful effect of that earning divide is that it makes paying off student debt loans, which continue to balloon, harder for women at work. As gender pay gaps widen, loans weigh more heavily on women than on men. 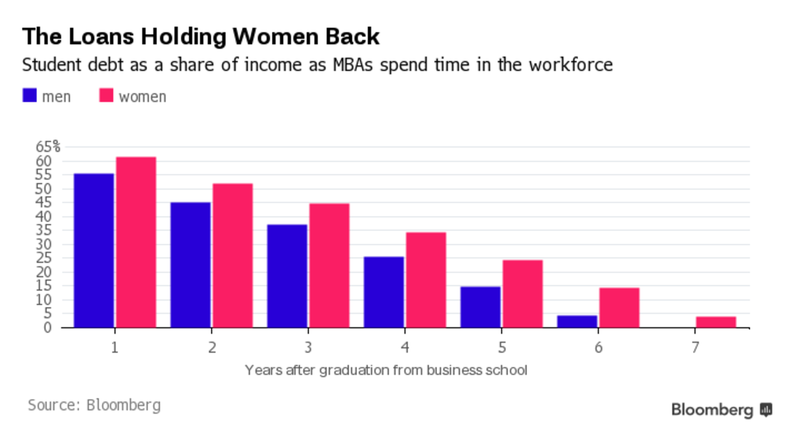 It can take women with MBAs over a year longer than men to pay back their student loans. To ensure, men and women alike are presented with ample financial aid opportunities to help ease tuition costs. College financial experts at AffordableColleges.com have assembled 29 excellent scholarships for women attending college. This entry was posted in SPW News on May 12, 2017 by Erinn Carey.